Oil of Oregano (Origanum vulgare) is sourced from the oregano plant and is supplemented for its anti-inflammatory and immune system boosting properties. Oil of Oregano contains distilled extract from the herb oregano and contains a predominant healing compound called carvacrol. The antibacterial properties in oil of Oreganum vulgare are effective at warding off illness, infection, and bolstering the immune system. 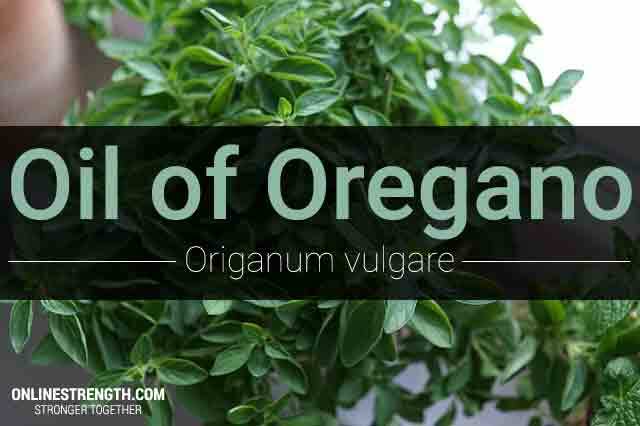 Supplementation of Oil of Oregano can help fight off bacteria or fungus that can grow within your system which can lead to fungal infections. Most often used to bring in vital nutrients into the body to help prevent unnecessary sickness such as the common cold or flu. Generally recognized as safe by the (FDA) and US Food and Drug Administration. Supplementation can help reduce bacteria and inflammation within the body which can be the main cause of main health aliments such as acne, digestion problems, joint pain, skin health, and muscle cramping. You can make tea out of dried oregano leaf which can be consumed three times a day. Extract dosage of Oil of Oregano’s is currently unavailable due to limited clinical research studies. For best results follow extract product label instructions.